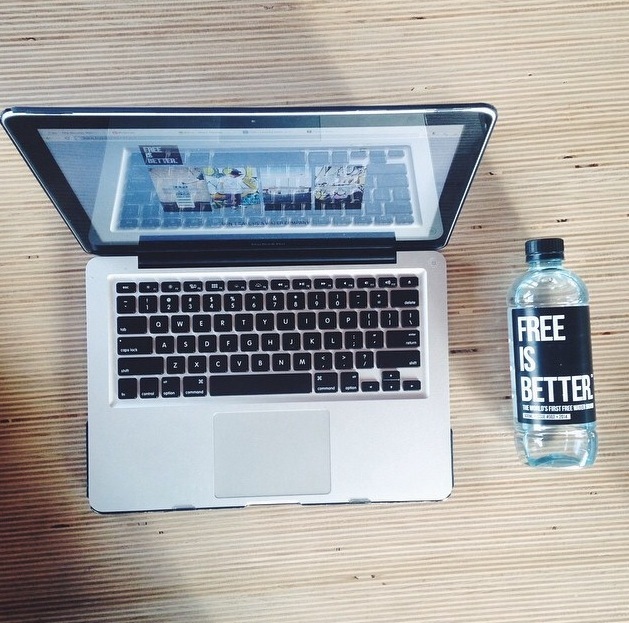 New brands are popping up left, right and centre in the already saturated bottled water market, but there is a new kid splashing into the Australian market and providing water the way it’s meant to be… free! 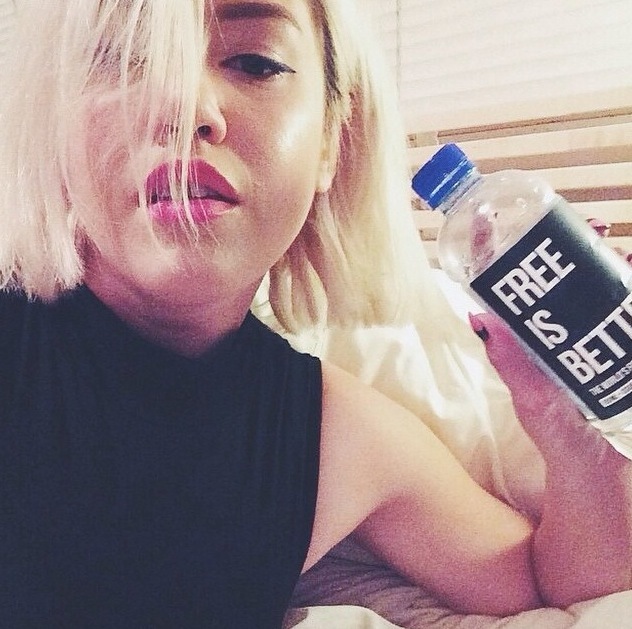 Free is Better’s business approach has not gone unnoticed with many bloggers and retailers joining the packaged water revolt. So how are Free is Better able to provide FREE water to consumers? It involves a new form of static distribution, that uses the bottles itself to advertise. 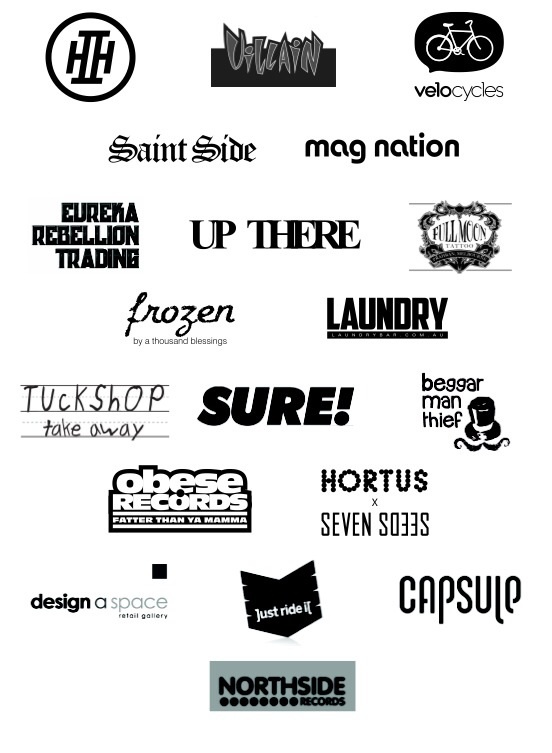 Their brand also uses a clever social media approach to market the hell out of those bottles and have had massive support on the blogger scene. Some bloggers that are reposting Free is Better’s simple and iconic bottles to their thousands of Instagram followers include: Lion Lion Bazaar (bloggers), Nourish not Punish (food blogger) and Larrie (DJ & Blogger). Artist Heidi Lau also got on board the project and did some brand artwork for the water bottles, which was totally rad. The bottles are set to be stocked in 200+ stores by the end of 2014 and will be expanding to Sydney soon. Their other point of difference is that they are the first company in Australia to use oxo-biodegradable packaging, which breaks down 100 times faster than regular PET bottles, that are used as a standard throughout the industry. 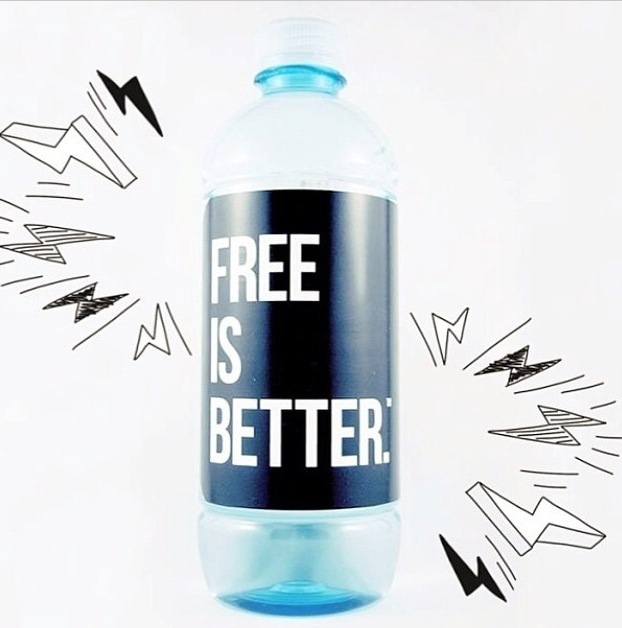 Free is better are on track to challenge the multi-million dollar plastic water-bottle industry that holds a monopoly in Australia. It goes to show that with a clever concept and some awesome branding, the sky is the limit when it comes to product marketing. WOTS are definitely joining the wave of support for Free is Better water and we love forward thinkers that challenge the retail giants in search of a better way for consumers. This entry was posted in BLOG and tagged australia, free water, freeisbetter, water, water bottles, water industry, wordonthestreetpress, wots. Bookmark the permalink.